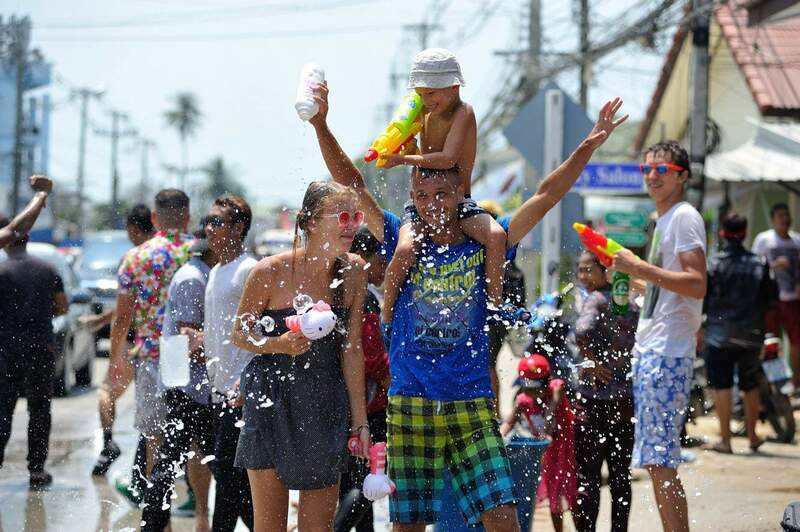 The Songkran Festival heralds in the Thai New Year with a mass of religious ceremonies held over 3 days to mark the beginning of the solar year. 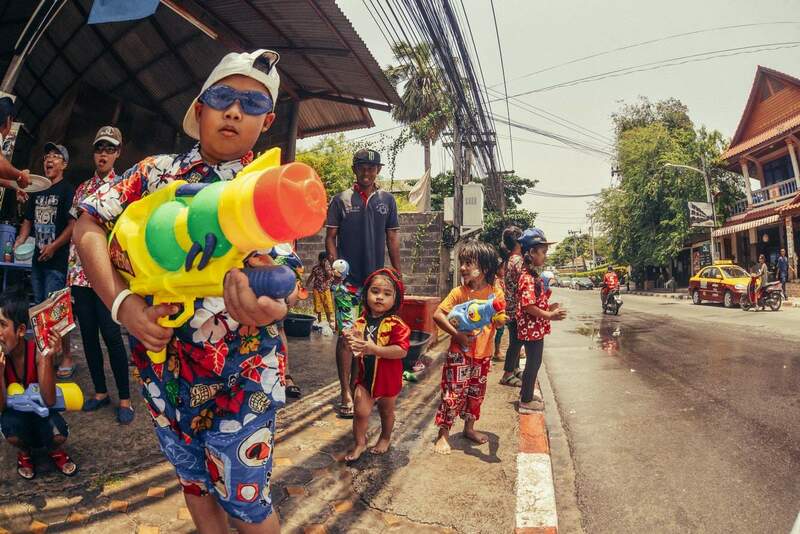 For foreigners, Songkran is best known for being the biggest water fight in the world, when locals and foreigners alike splash water at eachother all over the city. The festival generally starts with locals cleaning up around the island and on the morning of the first day of the festival, locals will gather to offer food to the monks at the temples. 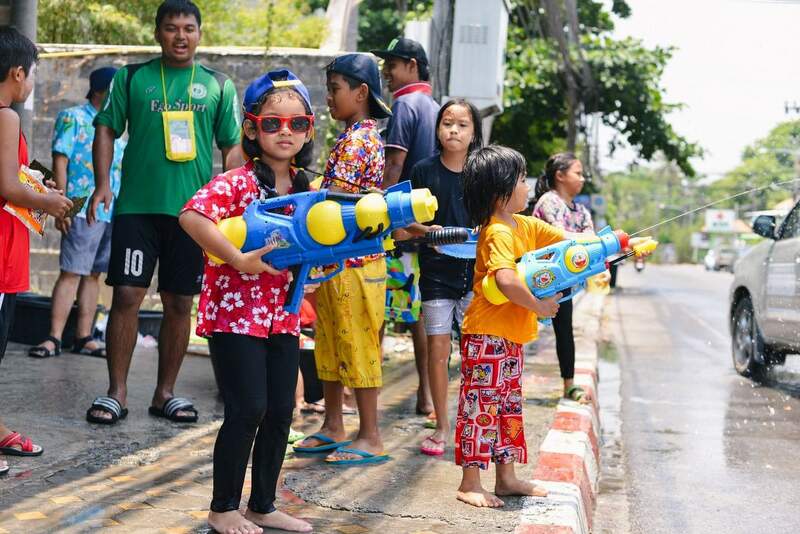 Many locals also travel to the temples in order for blessing and cleansing ceremonies by pouring water on the Buddha statues. 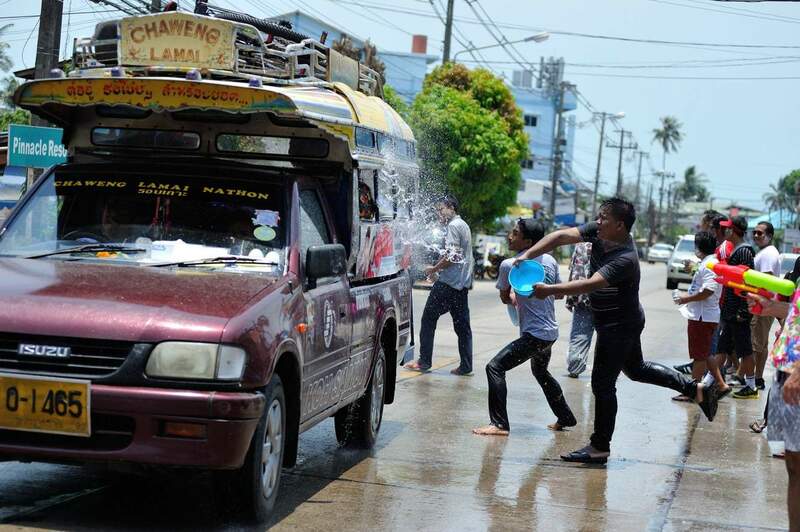 The locals believe that by splashing water, they are washing away sins and cleansing themselves of bad luck. These water cleansing ceremonies have transformed over time however to become the huge water fight that takes place today. 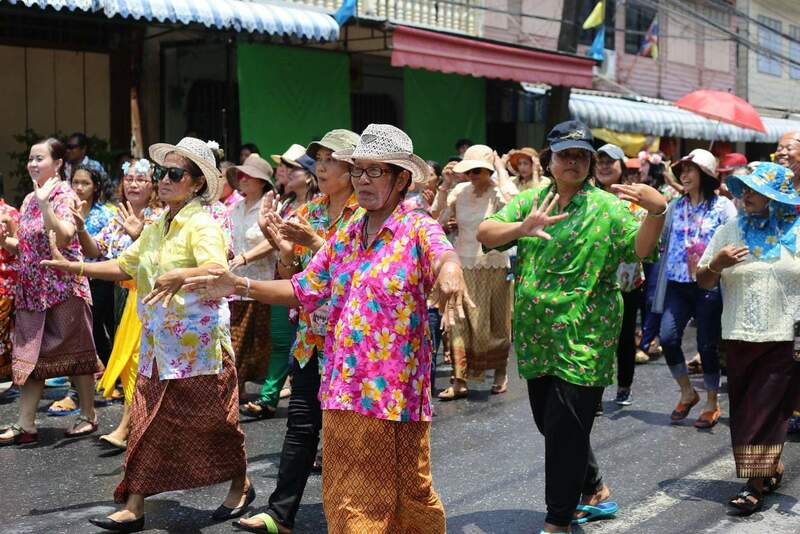 Only monks, babies and the elderly are spared, so visitors coming to Koh Samui during this time should invest in a waterproof bag and get out amongst it. If you do not wished to be splashed during this time, your only option is to remain indoors. You WILL be a target. 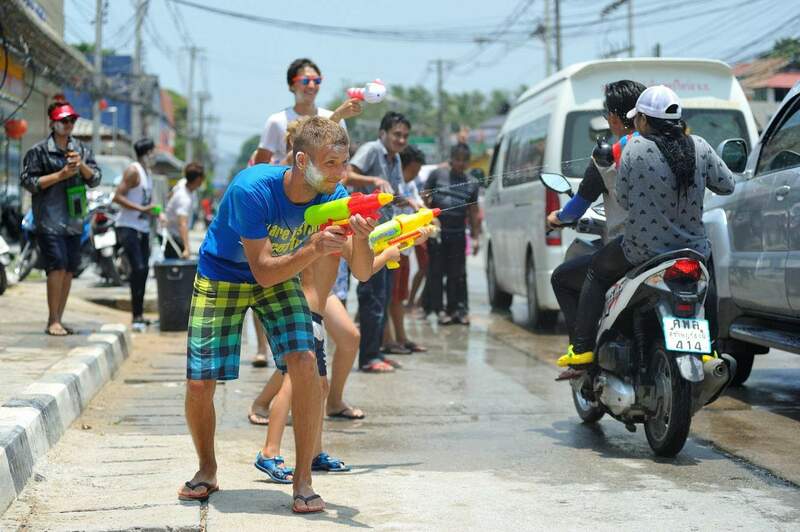 It is best to leave the scooter at home during Songkran, as the roads are wet and slippery and it is common for a local to run up to you and dump a bucket of water over you whilst riding. 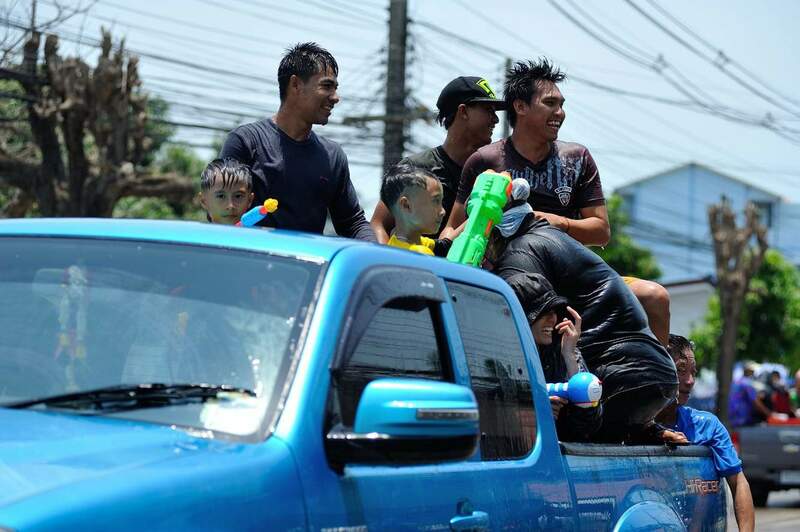 Even if you take a Songthaew or tuk-tuk, you WILL get wet. 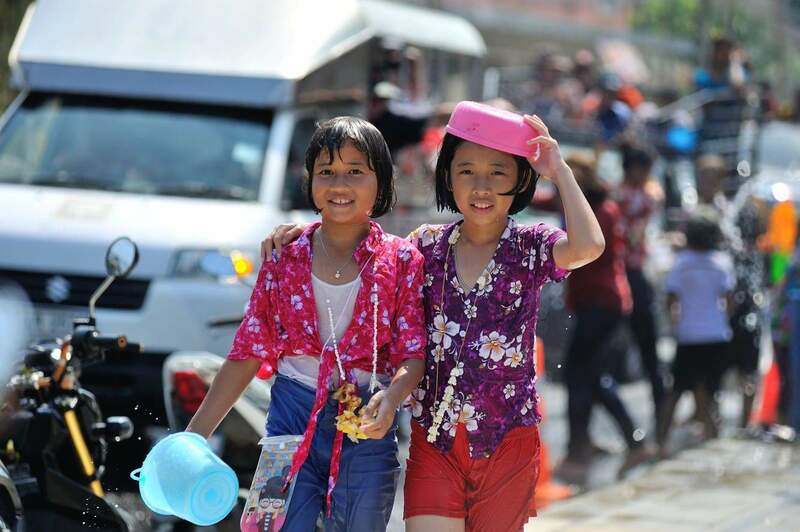 Dress appropriately with comfortable clothing you can walk around in all day whilst wet. Men should ensure they wear a t-shirt or singlet, as walking around shirtless is not appropriate on this religious holiday.